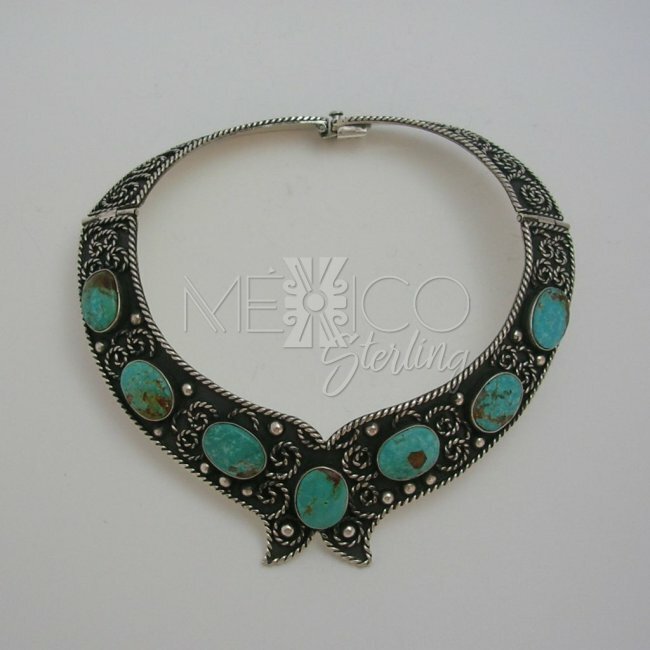 Classic Taxco Silver Necklace with Turquoise [NKL3064] - $420.00 : Mexico Sterling Silver Jewelry, Proundly from Mexico to the world. 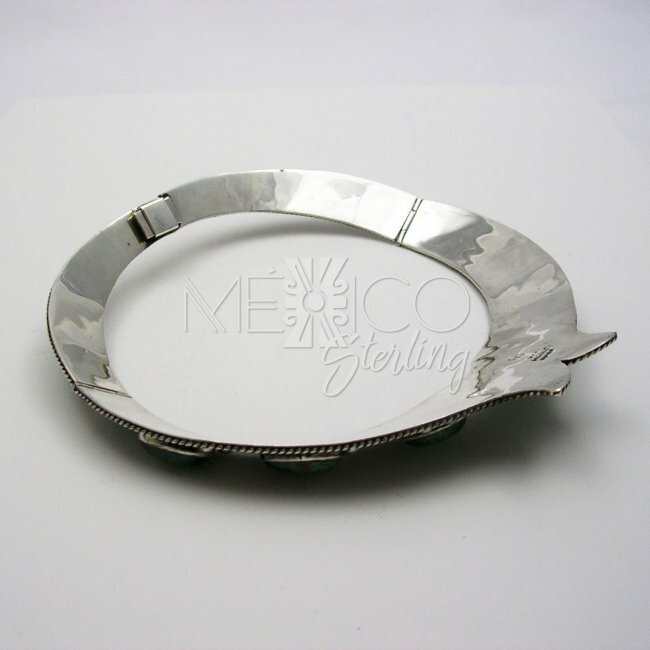 Dimensions: W: 1 3/4" centerpiece Inside Circumference : 16"
This wonderful piece of jewelry is a fine example of what Taxco skilled artisans work is like. 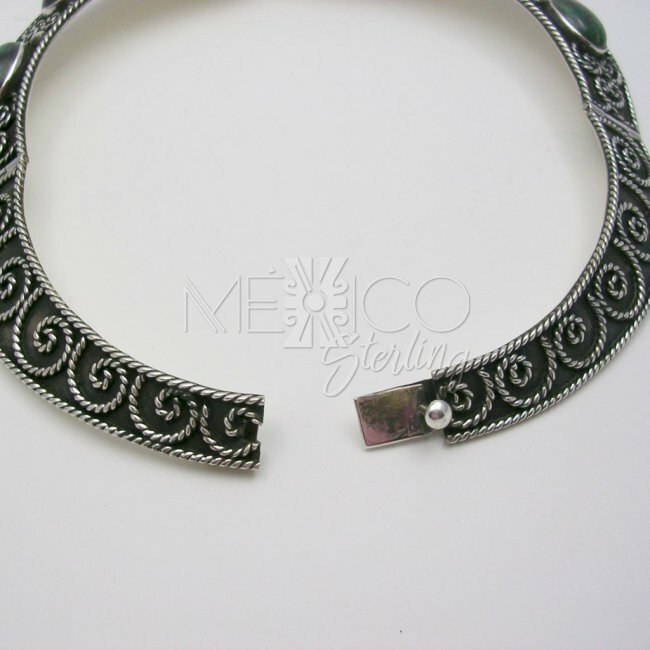 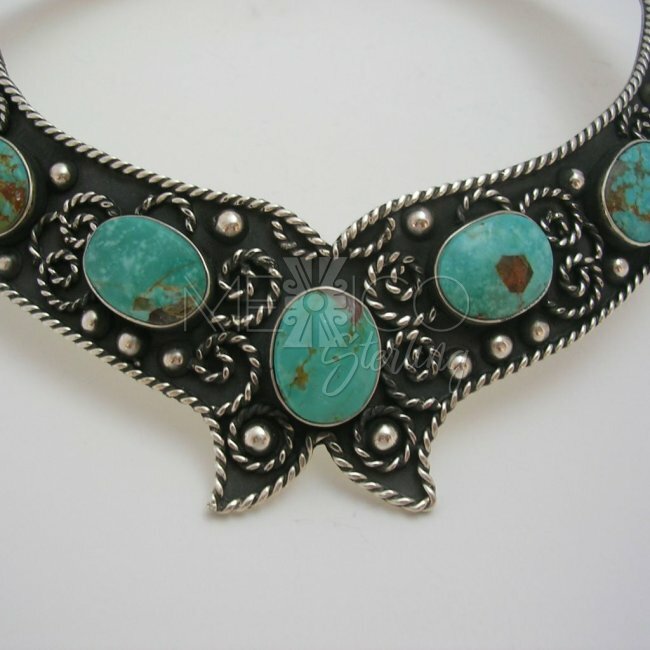 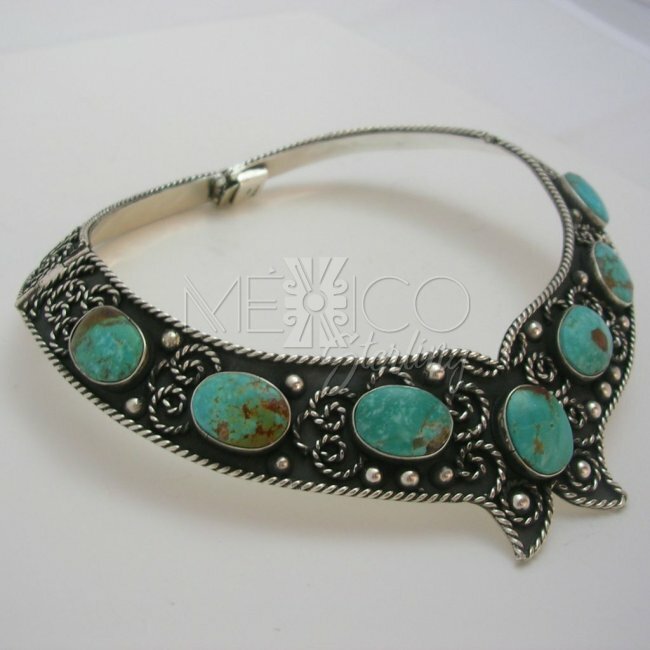 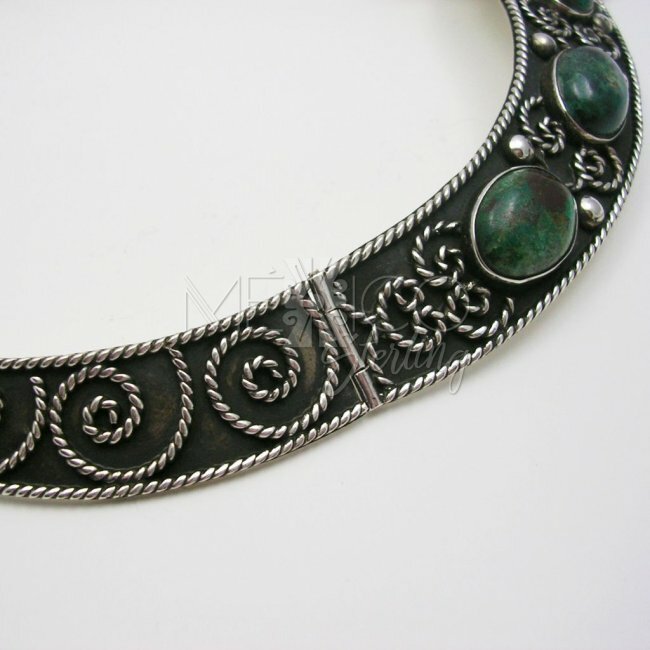 The great artisan work presented here is only found in Mexican silver jewelry. 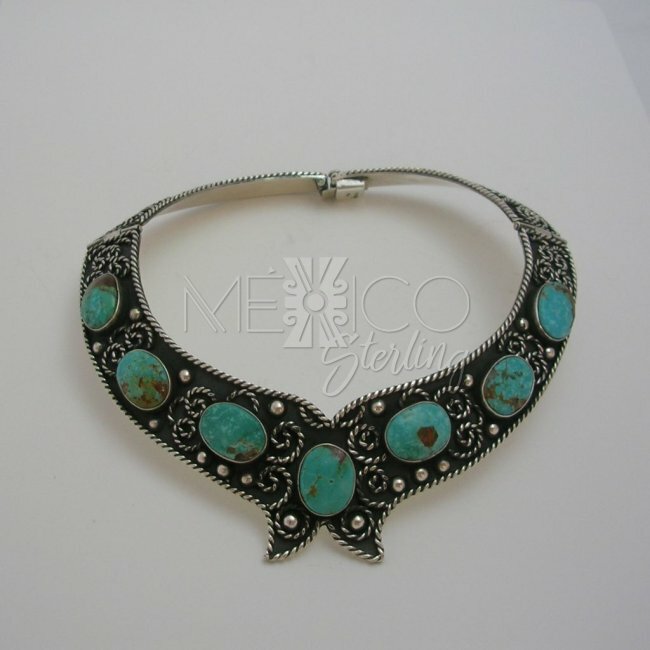 It is a 100% handcrafted piece, made with excelelnt workmanship and beautifully finished. 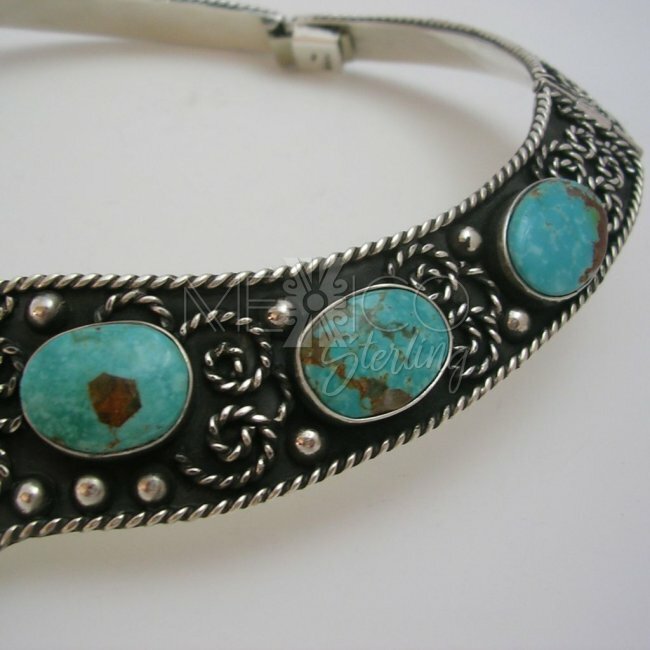 It is also crafted with solid silver 925. 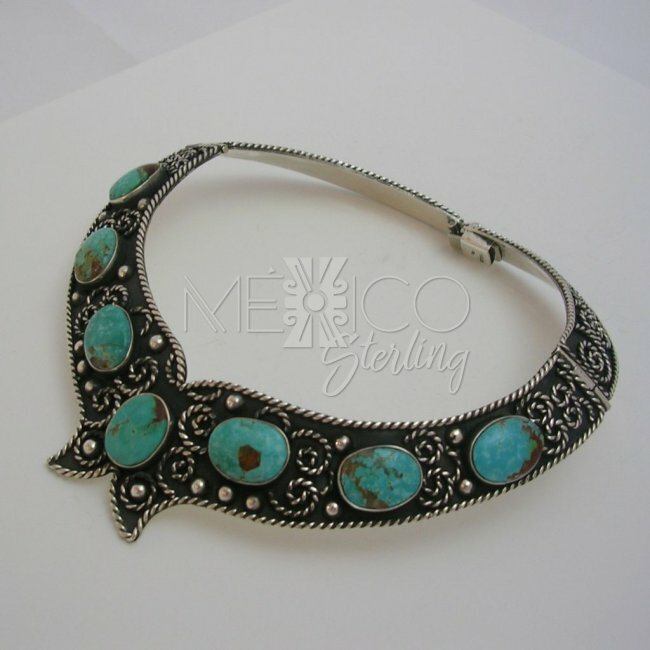 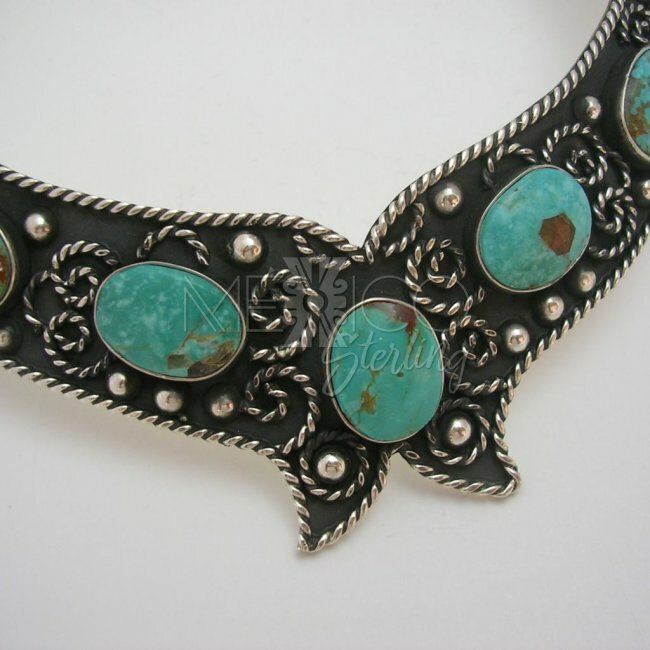 The nice Turquoise cabochons that you see in the inlay are natural stones with a gorgeous color and natural veins or spots that run in every single cabochon. 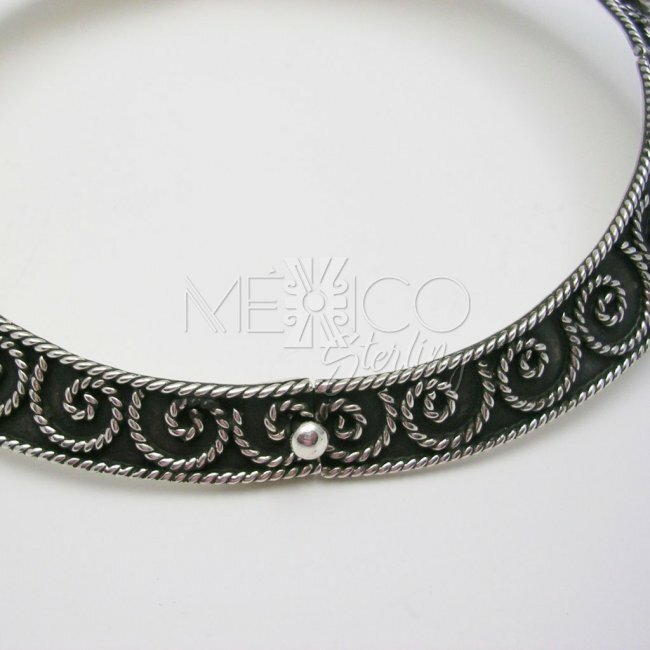 The last but not least nice feature on this piece of jewelry is the darker oxidized silver on the background, giving it an even more vintage silver look.